If you buy these at the supermarket, you can’t always be sure of the quality, especially when you’re looking for foods for a special occasion when you want the whole event to be memorable, stylish and and sophisticated. The same applies to dinner parties and occasions celebrating a special event such as a birthday, graduation or engagement – or if your goal is to impress your boss, your colleagues or even your new in-laws! Here’s a name you can trust – Saks Fifth Avenue. For the very best in easy entertaining and dinner parties, you can’t beat their service and style. In addition to appetizers, there are main courses, desserts and yummy chocolate treats. 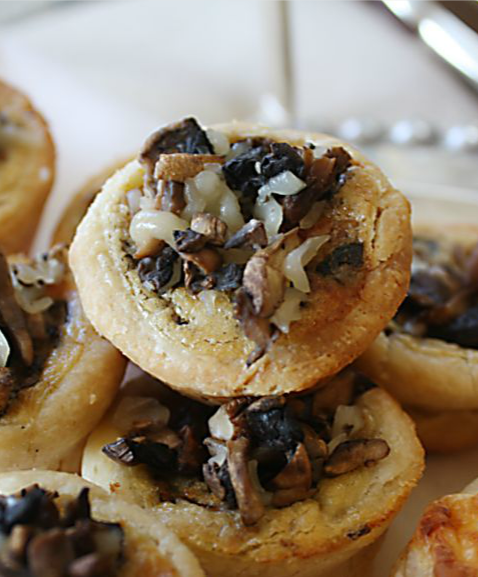 Wild Mushroom Tartlets with Truffle Cheese anyone?